Pop's : "We love chicken wings but not the ones that are served at any restaurant. We have our own style and seasoning that makes these so good, it becomes our entire meal! Easy to cook but our Big Green Egg really makes it easy but was doing it on our Weber for years. One secret is to turn them often." Gallon Plastic Bags to marinade wings. 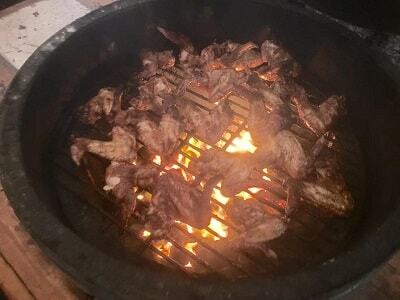 Marinate wings in Wickers for at least 2 hrs or longer. After taking wings out of marinade, sprinkle generously with Lette's Spicy Rub and place on grill, can add more while cooking if you want (I usually do). As I said earlier, turn often and cook to your desired doneness, I like them crispy, rest of gang not as much. Enjoy! This will make more than you will need, so put up excess in mason jar for meats. It keeps very well. We keep it mixed up and at the ready.